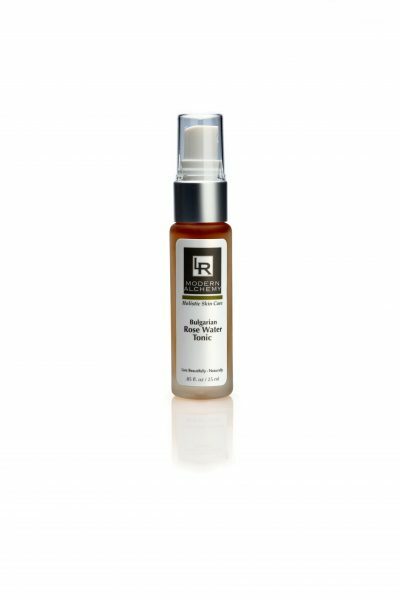 Considered a cellular regenerative, this Rose Tonic is a light moisturizing toner that hydrates and enlivens your skin with living energy. It takes 10,000 lbs of rose petals to make 1 lb of oil. Apply morning and evening to hydrate and vitalize your skin. Shake gently before spraying, as oil separation occurs naturally. Pure Bulgarian Rose — The most valuable essential oil. It takes tens of thousands of rose blossoms, picked as they are unfolding in the early hours of dawn-to yield one ounce of rose essential oil. The rose plant, petals and oils are extremely important in the treatment of healthy skin. It has excellent emollient properties for moisturizing dry skin. Gotu Kola — This skin tightening herb increases circulation, stimulates new collagen formation, firms and strengthens the skin and even aids in flushing toxicity. The collagen-stimulating and circulatory-improving properties help prevent tissue damage. I use the rose water tonic before applying the luxury face oil and it feels refreshing on my skin while also helping the face oil spread easily. It is a great tonic!